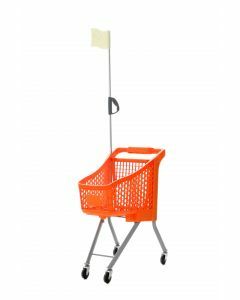 Wire shopping trolleys are a great way to make shopping in your store more convenient. 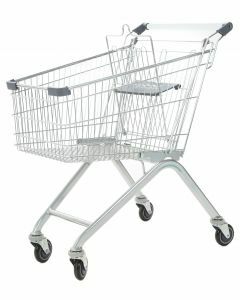 Without trolleys people are confined to what they can carry in their arms or even with a basket limited on how many heavy items that they can carry around the store. 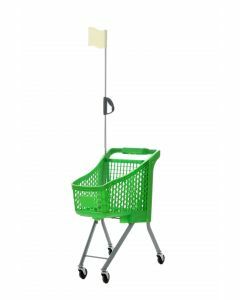 We offer a range of shopping trolleys in 2 different sizes and a range of coloured handles to ensure the perfect fit for your store. 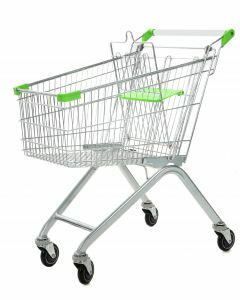 Why not look at getting child sized shopping trolleys to make shopping with children a little bit easier? At Shelving4shops we aim to source affordable and durable shelving units in variety of sizes. If you are unsure what is the best option for you our friendly advisors are on hand to ensure that you get the most cost-effective and efficient way to organise your shop shelving. 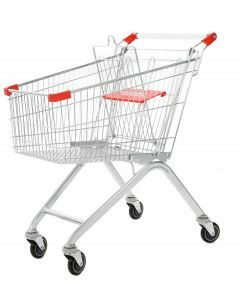 Here at Shelving4Shops we have over 15 years experience in the shelving industry, providing the retail trade with high quality, durable shop shelving, racking and accessories. Our shelving options are suitable for a whole variety of different store requirements, from the smallest corner shop to large department stores and major supermarkets.